The MI17 chopper with ten people aboard crashed in a rural area in the northwest of Colombia on Tuesday, according to the country's military. The European-Mediterranean Seismological Center has reported an earthquake of magnitude 5.9 occurring on Tuesday off the coast of Nicaragua and Costa Rica. 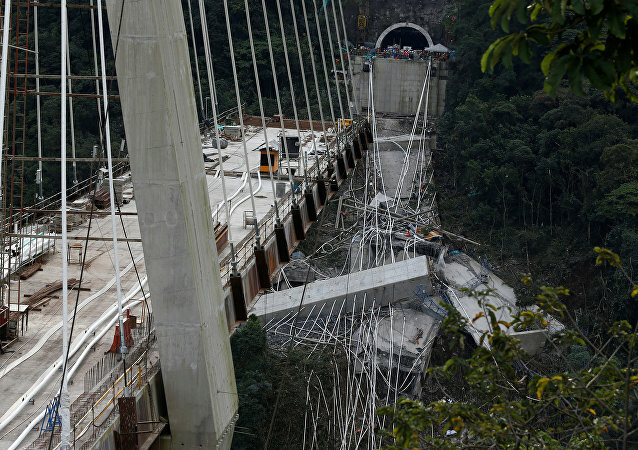 An estimated nine workers have been killed and five injured after an unfinished bridge collapsed in Colombia on Monday, according to a local disaster response agency official. MEXICO CITY (Sputnik) - More than 100 people have been injured as a powerful 6.8-magnitude earthquake hit off the coast of Peru, the country's National Emergency Operations Center (COEN) said in a statement Monday, citing Peru's National Institute for Civil Defense.